Draft: 1996, Oakland Athletics, 1st rd. July 30, 2014 3B Eric Chavez retired. December 20, 2013 Arizona Diamondbacks signed free agent 3B Eric Chavez. August 26, 2013 Arizona Diamondbacks activated 3B Eric Chavez from the 15-day disabled list. August 22, 2013 Arizona Diamondbacks sent 3B Eric Chavez on a rehab assignment to AZL D-backs. 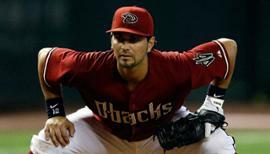 August 11, 2013 Arizona Diamondbacks placed 3B Eric Chavez on the 15-day disabled list retroactive to August 10, 2013. Left knee strain. June 28, 2013 Arizona Diamondbacks activated 3B Eric Chavez from the 15-day disabled list. June 24, 2013 Arizona Diamondbacks sent 3B Eric Chavez on a rehab assignment to Reno Aces. 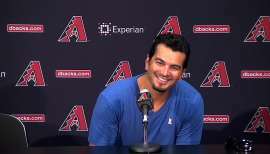 May 31, 2013 Arizona Diamondbacks placed 3B Eric Chavez on the 15-day disabled list. Right oblique strain. December 8, 2012 Arizona Diamondbacks signed free agent 3B Eric Chavez. November 3, 2012 3B Eric Chavez elected free agency. May 11, 2012 New York Yankees activated 3B Eric Chavez from the 7-day disabled list. October 30, 2011 3B Eric Chavez elected free agency. July 26, 2011 New York Yankees activated 3B Eric Chavez from the 60-day disabled list. July 19, 2011 sent 3B Eric Chavez on a rehab assignment to Tampa Yankees. June 8, 2011 New York Yankees transferred 3B Eric Chavez from the 15-day disabled list to the 60-day disabled list. May 6, 2011 New York Yankees placed 3B Eric Chavez on the 15-day disabled list. Broken left foot. March 28, 2011 New York Yankees selected the contract of Eric Chavez from Scranton/Wilkes-Barre Yankees. February 11, 2011 New York Yankees signed free agent 3B Eric Chavez to a minor league contract and invited him to spring training. 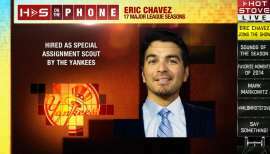 February 10, 2011 Scranton/Wilkes-Barre Yankees signed free agent Eric Chavez. November 7, 2010 DH Eric Chavez elected free agency. August 23, 2010 sent 3B Eric Chavez on a rehab assignment to AZL Athletics. July 7, 2010 Oakland Athletics transferred DH Eric Chavez from the 15-day disabled list to the 60-day disabled list. May 22, 2010 Oakland Athletics placed DH Eric Chavez on the 15-day disabled list retroactive to May 21, 2010. Neck spasms. November 6, 2009 Oakland Athletics activated 3B Eric Chavez from the 60-day disabled list. May 19, 2009 Oakland Athletics transferred 3B Eric Chavez from the 15-day disabled list to the 60-day disabled list. 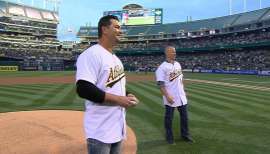 May 1, 2009 Oakland Athletics placed 3B Eric Chavez on the 15-day disabled list retroactive to April 25, 2009. Strained right forearm.